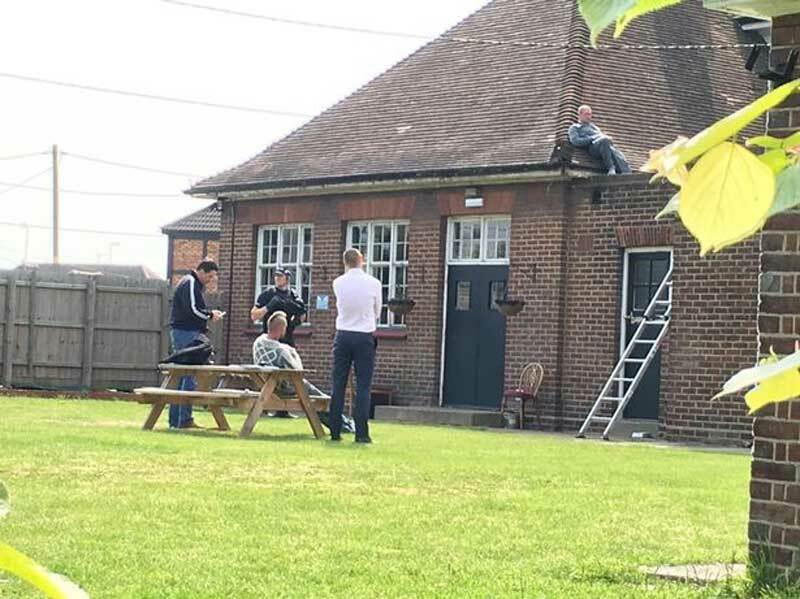 A man staged a five-hour stand-off with police after arguing with his girlfriend and climbing onto a pub roof in a fit of anger, a court has heard. Jamie George, of Laindon, Essex, caused Canvey’s High Street to be closed for several hours after he refused to get down from the roof of the Admiral Jellicoe pub on May 28. Despite police officers spending hours trying to coax him down, George would only voluntarily move off the roof when his mother turned up, Basildon Magistrates’ Court heard on Tuesday. The 29-year-old admitted damaging roof tiles and a mirror, belonging to landlady Kyla Cox, obstructing a PC in the execution of his duty and using threatening words or behaviour. The court heard that George and Ms Cox had been in a relationship and were arguing before the incident took place. Ann Able, prosecuting, said: “As a result of the argument, Ms Cox called police. “When police attended, they spoke to George and he said ‘I don’t know why you are here, I haven’t done anything’. He told officers the relationship was over and he just wanted to leave. He was then arrested and his mood changed significantly. “He refused to engage with officers and grabbed a mirror from above the sink and smashed it over his head. He jumped out of a window down to a flat roof. 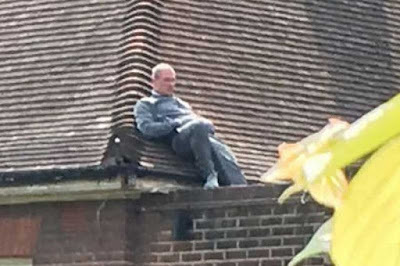 He taunted officers and residents and refused to come down. Negotiations were made to bring him down. It took five hours to do this because he wanted to speak to his mother and when she came, he came down voluntarily.” The court heard that the pub was closed for hours because of the damage and the police activity. It was estimated that the pub lost between £800 and £1,000 worth of takings. Roger Neild, mitigating for George, told the court that police had tried to arrest him for assaulting Ms Cox, an offence he received no further action against. He said: “Mr George fully accepts that he and his partner have an up and down relationship. He was very upset at being arrested. The police arrested him for an assault he had not committed and that’s why he got upset. He smashed the mirror over his head and jumped out of the window. It was a moment of crisis for him and he had anxiety about what was happening.” Mr Neild admitted that George’s decision to jump onto the roof was “slightly melodramatic”. Magistrates adjourned the case until September 8 at the same court for a pre-sentence report to be carried out. He was released on bail on the condition that he resides at his home and he does not contact Ms Cox directly or indirectly. He must also not visit Canvey. If they had all walked away, he would have come down a lot quicker. Should have treated him like a petulant child.